Francis of Assisi is one of the world's most beloved and popular religious figures--and also one of the most misrepresented. Such is the assertion of Mark Galli, who in this IVP Histories volume strips away the modern gloss in order to discover the real man in his real physical, political, and social context.Writing with lively and engaging style, Galli traces the fascinating adventure of Francis's life, from his hedonistic youth to his emergence as a Christian leader of outstanding influence and passion. The saint revealed here is not the bland, romanticized free spirit of popular misconception, but a complex and contentious man who combined an irradiated mysticism with a very practical Christian commitment and, above all, sought to glorify God as Creator. 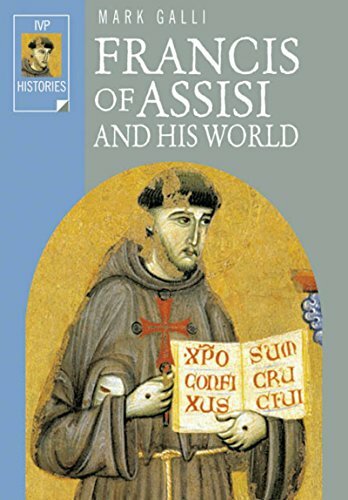 Francis of Assisi and His World is a "must-read," both for the inspiring story it tells and for the beauty of its art and illustration.